If you regularly go to a gym, you’ve probably overheard people speaking about the huge protein meals they are trying to get in everyday, but there are other macronutrients which are very important and need consideration. These are sometimes forgotten, even by regular gym goers. This could be due to sporting communities drilling the importance of protein supplements in a diet. However, the ratio of food consumption is very important for growth and if your diet is not correctly balanced, it could be detrimental to your training and health. Let’s take a look at protein to start! Protein is most commonly known as the food that bodybuilders and gym-goers consume to try and increase muscle size. Two key questions are: will it really increase your muscle size and, how do you know what foods are protein? Let’s begin with the basics. Proteins are made up of particular amino acid chains. When amino acids are put into a certain sequence theycreate protein. Amino acids are therefore the building blocks of protein. You may have heard of amino acids as these can be supplemented in your diet. Amino acids can be divided into two groups, essential and non-essential. So why do we need these amino acids which build into proteins? Protein is an essential macronutrient which is vital for healthy bodily functions. Protein has many different functions in the body, for example it is found in enzymes, antibodies, structural proteins and many more. Therefore a basic intake of protein is needed for everyday metabolic reactions/bodily functions to take place. Different organisations and researchers have different opinions on the amount of protein you need for general health and for sporting needs (endurance sports or resistance training). Protein levelsare set due to the need to replace the amount of amino acids which are irreversibly lost in a given day. So now you have a basic understanding of protein, we can look to see how it affects your training. Protein can be used by any person who is looking to improve recovery to help improve their performance. As a result, there is a large range of people using protein supplements, from elite athletes to people recovering form general surgery. Protein can be ingested during different parts of the day to help aid protein intake. Muscle is predominately made up of skeletal muscle and during training, skeletal muscle is damaged, creating small tears. Protein can then be taken to help repair this damaged muscle tissue. In the long term, this could also help to increase muscle density, endurance, and strength. This is only a brief explanation of why people who train sometimes use protein supplement or increase dietary protein. (There are many other areas of the body which also utilizeprotein, but this is beyond the scope of this short article). So what foods contain protein? So far I have given a brief explanation as to why some people use protein. So how can you increase protein levels? Table 1 below will give you some ideas of foods which contain protein. This should help to show the foods that can be consumed to increase protein levels in your diet. Table 1 just shows some of the foods which contain protein, there are of course many other foods which contain protein and are readily available. Protein can also be supplemented. Nearly everyone who is reading this consumes carbohydrates in one form or another on a daily basis. But do you know what carbohydrates do for the body? Are you getting the most training benefits out of carbohydrates? Have you thought about how carbohydrates are affecting your diet? If you’ve begun dieting, competing or just want to know how to use carbohydrates to your advantage then this article could help you improve. Carbohydrates are made from monosaccharides. Monosaccharides and disaccharides can be described as simple sugars. There are three disaccharides; these are maltose, lactose, and sucrose. When the monosaccharide chain is longer, it creates a polysaccharide, which could be described as a complex carbohydrate, that is, if the chain is long enough. So what are simple and complex carbohydrates? Well both affect the body differently. Simple sugars could cause a quicker insulin spike than complex carbohydrate in general. This means you would not get a sustained insulin spike over a period of time. This could lead to the person feeling hungry more quickly than if they had eaten complex carbohydrates. But this insulin spike can be used to the advantage of some people. For example, after weight training, simple sugars are used to increase insulin levels to help force sugar into muscles. Therefore carbohydrates are useful for many things, if you know how to use them. How can I use carbohydrates to benefit a healthy lifestyle? Last but not least FAT! Fat is what a majority of people believe makes them put on weight and become fat. But this isn’t always the case. Many foods contain a variety of different types of fat. But what does what? There are many reasons why people put on weight. Fat is an essential part of a diet and can be used for many functions in the body such as hormone production and contributing to a healthy skin. But are you including the right fats in your diet? Are different types of fats worse for you than others? Let take a look to see what fat actually is? Fats are made up of fatty acids. Just like carbohydrates, fats are made up of either one or a chain of fatty acids. These single fats or chains affect the body in different ways. Basically, there are four types of fats to look out for, two of which I believe to be good and two to be bad. Let’s look at what I believe to be the good fats! These fats are usually liquid at room temperature (e.g. olive oil). Monounsaturated fats can be found in different food groups and some oils. They bring many health benefits; for example, they may improve blood cholesterol levels and may help in insulin control. Polyunsaturated fats can be found in oils and plant based food. Omega 3 oil is a polyunsaturated fat and is commonly said to be good for brain function and heart health. These fats may also help blood cholesterol levels. Now let’s look at what I believe to be bad fats! These fats are usually solid at room temperature (e.g. animal fat). Trans fat is commonly found in animal fats. Most are made by hydrogenation of saturated fat, creating fats which are less likely to spoil the naturally occurring oils. These fats may increase low density lipoprotein (LDL) which may lead to unhealthy levels of LDL cholesterol. Saturated fats- similar to trans fats as can be found in animal fat. These fats may increase total body fat which could lead to unhealthy amounts of LDL cholesterol. Personally, I don’t believe that all fat is bad for you. 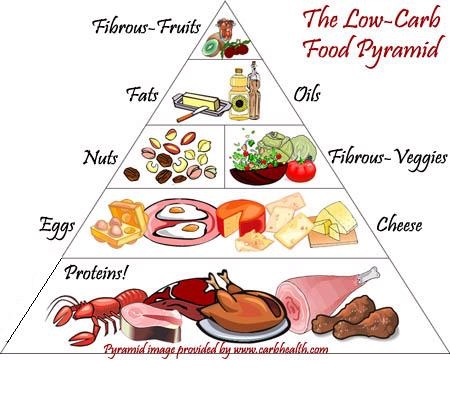 I believe that if you get your fats from the right sources then some can be beneficial to you. All fat has been thought of as being bad for you for many years by some people, however, eating all the macronutrients in the correct proportions should help you stay healthy and enable you to get the best from your training.